We offer the best quality on market to our customers. 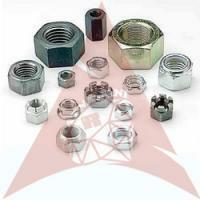 As a Manufacturer, Exporter and Supplier, we proudly present Nuts. We undergo a meticulous manufacturing process under strict supervision of a team of skilled professionals to ensure we deliver nothing but unparalleled quality. Our quality team allows us to provide a quality that is in compliance with the standards and parameters set by the industry. 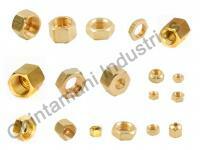 This range includes Steel Nuts and Brass Nuts.